Sharma bagged seven wickets in the lung-opener against England at Birmingham, including a five-for in the second innings, albeit in a losing cause as the visitors fell short by 31 runs. 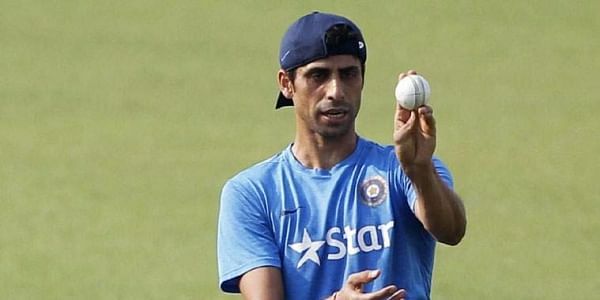 MUMBAI: Former India pacer Ashish Nehra feels that presently India has a potent fast bowling unit, and is particularly pleased with the display of seasoned seamer Ishant Sharma in the first Test of the current series in England. "We have a huge number of options, but the more important thing is quality. We have 6-7 fast bowlers and one or two come in behind also and they have quality," Nehra, an expert with official broadcasters Sony Pictures Network, told a select group of reporters here. "In the first Test match we managed to pick 20 wickets and, more importantly, somebody like Ishant Sharma - leading from the front after playing so many Test matches - that was good to see," he said. The former left-arm pacer was of the view that Navdeep Saini and Mohammed Siraj were coming up in the ranks. "Mohammed Shami was struggling with injuries, not easy to come back, and bowled his heart out (in the first Test). We have Umesh Yadav, who has heaps of talent. You have Jasprit Bumrah, who has done so well, Bhuvaneshwar Kumar, who has been injured, but in One Dayers he is your number one guy." "Another two guys I see coming up are Navdeep Saini and Mohammed Siraj. They both have been part of India A squad (and) I have (also) seen them closely in RCB (Royal Challengers Bangalore). All of them have heaps of talent," said Nehra. "We have an experienced bowling attack on this tour. All in all we have a very good fast bowling unit," explained the 39-year-old ex-cricketer. Nehra, who played 120 ODIs, believes that though all-rounder Hardik Pandya has improved as a bowler, he still needs a cushion and there is a long way ahead for the Baroda player. "I personally feel when he (Hardik) is playing as a fifth bowler (in Tests), or in even T20s or One Dayers, then we need some cushion behind him. Because he is not somebody who is bowling 10 overs consistently. At times we have six batters but nobody bowls." "He (Hardik)has done well, shown some improvement in his graph, but he has not reached that way (position) that he is your fifth bowler in 50 over (game)," Nehra pointed out. "But in Leeds, captain (Virat Kohli) gave him the new ball ahead of Shardul Thakur, so captain is showing faith in him. As a bowler he is improving, but still there is a long way to go and you cannot say he is your certain fifth bowler," Nehra said. While Nehra termed India as one of the top contenders for next year's World Cup to be in England, he expected Bhuvaneshwar and Bumrah as part of that squad. "We have Bhuvaneshwar Kumar and Jasprit Bumrah, they are your number one (bowlers) in One Dayers and T20s. Third I feel, Umesh Yadav is good, but you are in search is for the fourth and the fifth spot." "World Cup is still a year away. We have enough resources and I feel when it comes to World Cup, the Indian team is a top contender. We have enough options, (but) those two are certain for sure-- Bhuvi and Bumrah," he remarked.